Swung On!! And Driven DEEP!! to right field, where will it land??!! Section 467, Row 7! 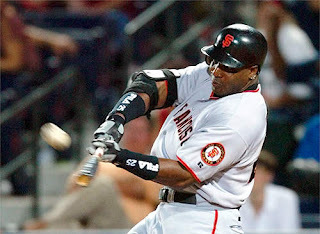 !--Yes, Barry Bonds had done it again. This Time Launching a Drive into the Upper Deck at RFK Stadium. Those on hand actually cheered. And, with that swing--BATTING PRACTICE for The San Francisco Giants Ended at 6:20PM. Hard it was to believe--but that BP Swing may well have been the highlight for this evening. Twenty Minutes Later, The San Francisco Giants Batting Order was announced. The New All Time Home Run King was sitting this game out. 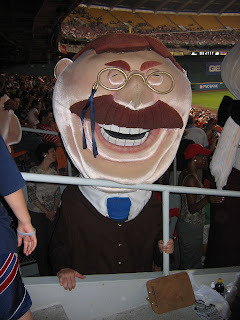 No Chance for The Washington Faithful to Boo Baseball's Most Polarizing Figure. No Opportunity for Our Washington Nationals to battle the Boys from The Bay with their best on the field. No Chance for The Home Fans to "GET IT ON" with Number 25. That Announcement pretty much killed the atmosphere at RFK Stadium. The Result--one of the most lackadaisical 3-2 defeats witnessed since The Return of Baseball to DC. In this one--No Pizazz, No Umph, No Win--just a pretty crummy loss-- the seventh consecutive by Our Washington Nationals. As is always the case when things are going wrong, much of the three talents of the game are missing. Tonight, good defense, mediocre starting pitching that couldn't throw a strike--saved by good relief. And, the absolute near impossible ability to move a runner up into scoring position in a close game. In any one run game--the nuances of baseball must be handled deftly. Bunting, or advancing a baserunner--a deficiency Washington has shown all season. This Evening that lack of skill killing any chance of tying or taking the lead. Better expertise that may well have changed this ball game to the winning side for Our Washington Nationals. Bottom of the first--no score. Dmitri Young opposite field single scores Nook Logan who had blooped a single to lead off the bottom half with the game's first run. FLop now standing on second after an infield single, Young on first--one out. Austin Kearns Pops to Center. Wily Mo Pena (a man of NO PATIENCE TONIGHT)--striking out badly against Giants Starter Kevin Correia. Inning Over. In the bottom of the 2nd inning, Washington now trailing 3-1, Brian Schneider knocks a one out double. Nats Starting Pitcher Tim Redding can't advance him. Misses the bunt attempt and eventually grounds out to short. Nook Logan follows and meekly grounds to second base. Inning Over. Bottom of the 4th--Kearns leadoff LINE DRIVE HOMER--just clearing the wall in left to make this game 3-2. Yet--Pena, Belliard nor Schneider can take advantage of Correia possibly losing his form. Inning over. Bottom of the 7th--with Correia now out and Tyler Walker in for The Giants--Ronnie Belliard HAMMERS A FASTBALL deep to left field. A Drive that JUST MISSES going over the wall. A bouncer off the fence that put Our Number 10 on second base with Nobody Out. A situation that most GOOD teams will, more times than not--advance the runner to third and score him. Of course, Our Manager Manny Acta does not like to give up FREE OUTS and bunt. Schneider many times can ground the baseball to the right side, advancing the runner to third. Of course, when things are going bad--you get Our Number 23 lining an out to centerfield. A First Out doubled to two when My Main Man!! Ryan Church was sent out by Manny to pinch hit for Chris Schroder. An appearance that resulted in a meek pop up to San Francisco Shortstop Omar Vizquel. The Second Out that found Church slamming his bat to the ground as he ran out the play. A potential game tying inning when Nook Logan followed and Struck Out BADLY against Walker. Inning over. 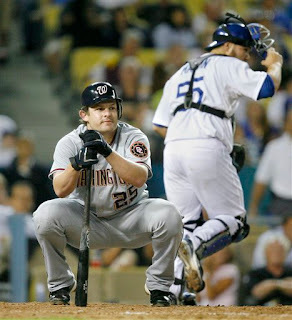 A frustrating situation that got only worse in the bottom of the 9th, when The Giants Brad Hennessey trotted out to retire and END THIS GAME on three WEAK POPUPS. At-Bats, where Our Washington Nationals were pressing. When Wily Mo Pena swings at the very first pitch he may have seen from Hennessey in nearly two years--that's not concentrating. Captivation which Ronnie Belliard showed none of, by swinging at everything, and recording the second out of the 9th on Brad's second pitch. Yeah, another pop up to Ray Durham at Second Base. An Ending that came just two pitches later when Tony Batista Pinch Hit for Schneider--Manny Acta looking for that Magical last second gasp. Air which was extinguished when Our Number 77 also popped out, this time to Ryan Klesko in foul territory at first base to end the ball game. This time--not only inning over--But GAME OVER. When Baserunners are scarce--it's necessary to capitalize on every single possible situation. Small ball was in order tonight. Play which Our Washington Nationals couldn't deliver on. 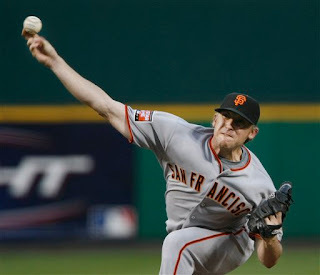 The Result--a frustrating and less than tantalizing 3-2 loss at the hands of The Very Mediocre San Francisco Giants. Barry Bonds didn't play on the last night of August. And, Our Fans were disappointed. Unquestionably, tonight's baseball game suffered from apathy as a result. No chutzpah with the most antithetical hero in the game on the sidelines. 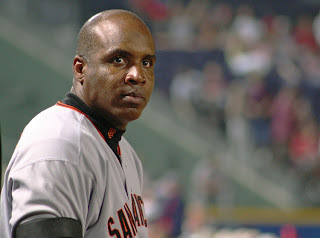 But hopefully, the always intriguing Bonds is going to play tomorrow--on Teddy Roosevelt Bobblehead Day. Only then, can every customer get their money's worth--both on and off the field--before all the INNINGS ARE OVER. Amazing as it may seem--Our Nats now 19 GAMES BELOW .500 (58-77). How Times have changed in just ONE WEEK. Who would have believed after playing so decently for so long--that which was gained and left, as a lasting impression by DC's Team--might possibly be lost so quickly. My Most Charismatic Man--Manny--I implore you to emphasize to Your Troops, Our Team--to not give up. Plenty of baseball is yet to be played. Still, with just 27 games to go in 2007, advancement and achievement can be made. Its hard to believe that Tim Redding survived even 5 innings tonight. He was all over the place. 5 hits and 5 walks--104 pitches thrown. From the get-go he didn't have anything on his pitches. Which actually made me wonder--September Call Ups are tomorrow--the very next game. Just throw Mike Bascik out there sooner than the 5th. Or, whomever you wish. Replacement players are on the way--up to 15 total. Might as well take advantage of the situation. Our Number 17 labored through his effort tonight. Everyone watching knew that--just take him out. Who cares if its the 2nd inning. Does it matter now--Really? Although, Redding gave up all three runs to San Francisco in the second--all in frustrating fashion. A bloop fisted double down the right field line that bounced into the stands by Pedro Feliz. Omar Vizquel followed with a walk. Giant Rookie Rightfielder David Ortmeier then knocked a seeing eye grounder to right through the hole scoring Feliz. Only to see Correia lay down a bunt that Tim Redding first looked to third on--only to see Ryan Zimmerman charging on the play. A hard bunt by The San Francisco Pitcher that if Our Number 17 was thinking, would have resulted in a 1-6-3 double play if he had thrown to second base right away. As it stood--Redding just tossed out Correia at first. A decision that proved costly when Rajai Davis smacked a two out broken bat single down the left field line past a drawn in Zimmerman (worried about a bunt from the swift Davis) to score The Giants 2nd and 3rd Runs of the evening. A Small Ball Inning for San Francisco that proved The Game Winner. There were no really fine defensive efforts in this game, but there was one of those odd plays that Our Washington Nationals continually get themselves into, that make me wonder. With two outs in the top of the 8th--San Francisco Pinch Hitter Rich Aurilia grounded a baseball off Jesus Colome up the middle, shortstop side of second base. FLop moved quickly to his left and it appeared at first--Felipe had NO CHANCE. Yet, Lopez did not give up the ball and eventually found it in his mitt. A Surprise Look on his face (funny watching this develop) as he appeared to be amazed that he actually gathered the stroked hit. A delayed response found Our Number 2 wheeling around to his left and making a very decent, if slightly high, strong toss to Dmitri Young at first base. An effort that should have been a fine out and The Defensive Play of This Game. Only to see Young fail to even raise his heel off the first base bag--an inch--in an attempt to catch the toss. FLop's throw glancing off Our 2007 All Star's Glove for what was ruled an infield single. Come On Dmitri!! What baseball skills have you not learned about catching the simplest of tosses slightly off line. Even a High Schooler could have made that play. Yeah, you are a far better player than Robert Fick--although he replaces you in the final two innings of nearly every game. Could you please make the effort and practice the routine stuff? Maybe then Our Manager will let you play with the game on the line--at its conclusion. "Our Starter in Training" Matt Chico has been recalled from AAA Columbus to start on Sunday against The Giants Barry Zito. Our Number 47 the first of two recalled players as rosters expand tomorrow. The hard throwing Winston Abreu also had his contract purchased to complement Our Over Taxed Bullpen. Necessary Moves for a beleaguered pitching staff. Now--to the promised report--as I mentioned when The African Queen and I took our latest tour of New Nationals Park. When I stood in the very last row of right field--Home Plate Looked a MILE AWAY on South Capitol Street. So tonight--I walked up to Sections 549 & 550 on East Capitol Street. The Yellow Seats, last row. Without a doubt--THAT LAST ROW AT RFK STADIUM is STEEPER and FARTHER AWAY from Home Plate than New Nationals Park. Not even close. The Nats 3rd Base Dugout from Right Field appeared to be in another Time Zone. A Distance I didn't feel lost while standing at New Nationals Park. Really, RFK is MUCH BIGGER, WIDER AND DEEPER. In fact, I walked around the entire Upper Deck Tonight. New Nationals Park has better views--all around. That's a good sign. Finally--The African Queen sat this game out--sick at home with the flu. Boy, did I ever hear it from all our friends tonight: "Where is your better half?" the constant question. Tonight was Sohna's only 4th missed game of 2007. Gotta give her credit for the support. Knowing the way you are--you never give up. And that's a good thing, when it comes to Our Washington Nationals in 2007. Because of you, Our Team that plays on East Capitol Street has performed better than expected. Many predicting an awful season. In fact, at times--Our Home Team of The Nation's Capital has been downright competitive, and fun to watch. All of that--because of you. Yes, My Favorite Manager--YOU--Manny Acta, are mostly responsible for making this season enjoyable to watch. From Day One, you have flashed that CHARISMATIC SMILE that I LOVE SO MUCH. From Day One, you have stated Our Washington Nationals are going to try to win each and every day. And, Except for a few tailspins--an 1-8 start and an awful 1-9 late April-Early May Effort--This Team, Our Team, has been very competitive. You, My Friend--are mostly responsible for the little success we have all enjoyed. Happiness that turned to frowns this past week--when once again--with Washington on their very last West Coast Swing of 2007, they stumbled badly--losing six straight. Manny, I know--it was tough watching last Friday in Denver when "The Chief" simply didn't have it, blew up--all resulting in what seemed to be The Worst Loss of The Season. At least until Wednesday Afternoon in Los Angeles, when Our Team committed an Ultimate Team Loss. You can point your finger at more than a few. No doubt, that 10-9 defeat in 12 innings at the hands of The Dodgers had to sting even more than most. 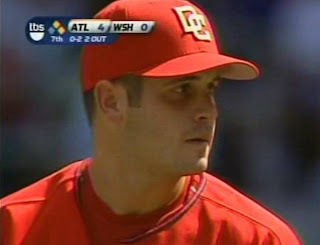 Hurt, because any 5 run lead against one of the best pitchers in the game--Brad Penny--would have been savored. Yesterday was failure, that sometimes can not be explained. And, it burned in the heart, because ANY WIN heading back East after a long 10 Game Road Trip--puts Our Team into better spirits. Manny, My Friend--you know that--and I know that. Yet now after a series a difficult losses, we find ourselves facing September--the last month of the baseball season--worried that Our Washington Nationals may fall flat and finish poorly. And those critics--the very same that floated "Worst Team In History" this past spring--are back again--trashing Our Washington Nationals. So called "EXPERTS" looking for redemption from their previous silly statements. Unfortunately, The Eastern Division of The National League contains three of the better teams vying for a World Series berth. Yeah, neither The Mets, The Phillies or The Braves are GREAT TEAMS--but they all understand--THEY CAN WIN IT ALL THIS YEAR. The Entire NL is fairly weak--time to pounce and achieve--using Washington as a pawn. Accomplishment that stares You and Our Washington Nationals right in the face. Manny--No one can win Our Division without first playing through Washington. In many respects--You control The Lock to who wins The National League East and possibly even The Wild Card. That makes it interesting for me, The African Queen, all our Section 320 friends and neighbors at RFK Stadium over the last five weeks of 2007. Without fail, you can count on us to support your every effort. Backing, those pundits will never give and, quite frankly--hope you hit rock bottom. With all that in mind, can we count on Our Washington Nationals to buckle up and surprise all of baseball--once again during September? Manny, some have already mentioned that you are deserving of National League Manager of The Year. Even Management has openly shouted their approvals. In an attempt to unlock the vault of hidden talents to build for Our Future--you are THE GOLDEN KEY. Yes, in many respects, you may not win Manager of The Year--But, Manny Acta you have been The Find of The Year. The Most Important Ingredient to Our Team to soon play on South Capitol Street. A Leader, A Teacher, A Friend and a pretty Good Rookie Manager in The Major Leagues. All the while, being as Fan Friendly as ANY MANAGER that has ever been in This Great Game. In a short period of time--you are special. Manny--for what seems like the billionth time in 2007, lets shut up those naysayers once again as this grueling 162 game schedule comes to an end. Keep Our Players motivated, interested, and willing to give their all over these final 28 games--16 of them at the soon to close RFK. Personally, I know its in you. There is nothing finer than beating New York, Philadelphia and Atlanta. Nothing better than shutting up The Media. Believe me, I know. As you know--I am in The Media as my profession, as well. Dear Manny, you have made This Entire 2007 Season Worthwhile for me. So, Lets end it in style--by Winning Some Meaningful Games against tough competition and Closing RFK Stadium on a High Note. Dear Manny, with your expertise, we can all send Our Washington Nationals to New Nationals Park in Grand Style. So, here I am sitting comfortably in our Edit Suite, working on today's top news story--all the while glancing at the HDTV Screen above and to my left broadcasting the MASN Telecast of Our Washington Nationals and The Los Angeles Dodgers. Robert Fick has just hit a HOME RUN!! Yes, I repeat--HOME RUN!! Dmitri Young is going bonkers on the bench--watching his BEST BUD celebrate in glory. Washington leads 7-2 in the 6th and increases its lead when Jesus Flores doubles and, yes--NOOK LOGAN--knocks him home. With the score now 8-2 and Shawn Hill on the mound--this game sure looked in the bag. Continuing to edit this afternoon's story--I am not really paying attention--Deadline was near. 5:30PM is Our Broadcast in Canada. When I finally look up again--James Loney is slashing a grounder right past Robert Fick. A hit that sure looked playable to the naked eye. A three double that all of a sudden--puts The Dodgers within two at 8-6. What in the world has happened!!?? is all I can exclaim. The sound is turned down. Could Shawn Hill possibly have lost it this bad? Naw--I can't believe that. Only to find out that FLop--Yes Felipe Lopez--made another crucial error to keep a rally alive. That explained alot. Loney's key three run hit past a diving Fick made me wonder again--Why is Robert the so called defensive replacement? Young could have belly flopped to stopped that baseball. At least knocked it down--keeping it in the infield. But, when Our Manager Manny Acta immediately trotted out and sat Hill down, replacing him with Luis Ayala--never could I be more shocked than see Luis give up a Two Run Homer to Shea Hillenbrand tying this one up at eight. Then, after Washington fights back to take the lead in the very next top of the 7th, Our Number 56 gives up a leadoff homer to Matt Kemp, tying this game once again at 9. I would doubt Luis Ayala has EVER GIVEN UP TWO HOMERS IN ANY GAME HE HAS EVER PITCHED IN THE MAJORS. You knew, right then--August 29th was not a GOOD DAY FOR OUR WASHINGTON NATIONALS. Only a matter of time was going to decide this one. Sure enough--in the 12th a simple sacrifice fly after a Jeff Kent single, Russell Martin bloop double to right and intentional walk to Loney--for this game to THANKFULLY END. Hillenbrand again with the decisive blow. This time a routine fly ball that, with everyone playing in--forced Austin Kearns slightly backwards and off angle to make a proper throw. Kent scoring the game winning run, despite a valiant effort on the part of Jesus Flores to tag him out. A 10-9 defeat, completing back to back three game sweeps--this time at the hands of The Dodgers. A miraculous 3 out of 4 victories from The Lowly Astros to start this 10 game road trip--ending mighty sour. Six consecutive losses against The Colorado Rockies and The Boys from LA. That cross country trip tonight is going to be pretty quiet plane ride. The Team should be upset. But, as fans--really not as much--at least when looking at the long term prognosis. In the whole scheme of things--this loss is meaningless. Yeah, Shawn Hill struggled during the game changing 6th inning. Will he ever get a deserved victory on his career record? But, two fairly routine plays, better handled by more adept fielders--would have negated The Dodger Rally. Of course, Ayala got hammered. But, you can't say he hasn't been effective since his return from nearly two years on the Disabled List. Those were the differences in this game. Lopez should be at second base, not short. Fick possibly not even on the team (Robert hitting into a rally killing double play with one out in the 12th--runners on first and third). This afternoon was a turnaround that rarely occurs. But, is the sign of a mediocre ball club. Yet, would you not like Shawn Hill and Luis Ayala on the 2008 Roster at New Nationals Park? I would--still. On offense--Nook Logan continues his attempt at resurrecting his career. Two hits today, possibly cheated on a third--running out a grounder in the 11th. All the while knocking in three runs. Yeah, I have been hard on him--deservedly so. But, Our Number 7 has yet to break stride on his improvement of late. Even I am willing to wait and see what he brings to the table come September. Effort which Jesus Flores consistently applies to his game. A three hit performance at Dodger Stadium, two runs and an RBI today for Our Rule V Draftee. Really, how can you not deny this guy more playing time? Impressive is the only way to describe him. Even My Main Main!! Ryan Church rapped out four hits, including his 37th double, scoring one run and knocking in his 53rd. Runs Batted In which Ryan Zimmerman reached 78 for the season today--on a single in the 5th--scoring Felipe Lopez. Honestly, I understand--this was a demoralizing loss. A defeat that hits you right in the craw. But, Our Bullpen was decent after Ayala's second allowed homer--5 consecutive scoreless innings. The offense was alive--even without some of its, so called, stalwarts sitting out this ballgame against a very good Los Angeles Starter in Brad Penny. Come December--no one will really remember this defeat. Hopefully, come this winter--everyone will remember what a fine job Manny Acta did with a limited squad--making our players give their all--when everyone expected far less. There are some parts being built on the field in the ever changing makeup of Our Washington Nationals. Unfortunately--Washington just does not have enough to compete with the best. Winners which The Los Angeles Dodgers are. Competitive every day--which Our Washington Nationals are not--at least not yet. Yes, Our Washington Nationals lost in Less Than Stellar Fashion today. And maybe I should have been paying attention more while editing. But, No--if so--our piece would have NEVER MADE AIR. You can bet though, I would have been yelling at the TV SCREEN--if watching. Time to forget about the past six days. Our Washington Nationals can still beat last season's 71 wins. That's good enough for me--right now. So--Are you ready to BOO Barry Bonds this weekend? Could be fun!! Granted, I am not much on statistics. WHIP, OPS, etc--its just not my thing (yeah, I know, I've stated that before, but this is to make a point). Others like stats and that's fine. I have always judged players abilities on what I see first hand, everyday. And, more importantly, how talent performs when the game's on the line. So much so--a .240 hitter can be more productive--by knocking home runs in the clutch. Something, say--a .300 slap hitter is not doing. Ryan Zimmerman may well throw away some silly errors from third base--but I would take his fielding prowess over ANYBODY in The National League. Having stated that, all season long, Austin Kearns has struggled at the plate. Opposing pitchers have jammed him all season long--to great results. Hot of late, but still not driving in runners consistently--Our Number 25 is looking to free up his hands on inside pitches. Work, which Interim Batting Coach Lenny Harris has instructed Kearns on for the past few months. Hopefully, an effort that will propel him to the expected 30 Home Run, 100 RBI Hitter Our General Manager Jim Bowden has always envisioned--one day. But, despite his continuing struggles at the plate--Austin's play in right field has been nothing short of spectacular. Two excellent catches by him come to mind this season. The first one in St. Louis. 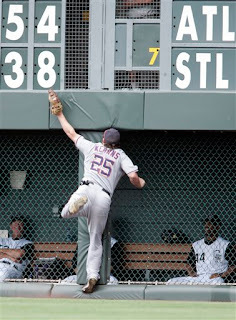 A diving catch of a Jim Edmonds Drive on the warning track--face first into the wall. A excellent play that also found Kearns immediately jumping up and firing the baseball to first base to double off The Cardinals Scott Rolen. The Second--just the other day in Denver--when Austin face planted himself into the fence at Coors Field on a drive by The Rockies Brad Hawpe. Those are the memorable ones--yet has anyone noticed just how excellent Austin Kearns has played right field this season at RFK Stadium? Quickly, he moves to the right angles to cut off smashed hit, either down the line or into the gap. His throwing arm is quite accurate. Outside of the always injured Alex Escobar--the finest on Our Team of Outfielders. Many times this season, I have witnessed "Bluegrass" move deftly into the right corner at RFK, thinking he had NO CHANCE of throwing out a runner or even making a play. Yet, Kearns always gets the toss to the base. Many times on time, and on target. Like I said--I am not much of a stats guy--but I took a glance to see how well Austin has fielded in 2007. 8 Outfield Assists, 3 Double Plays, just 1 error in 322 total chances. A .997 fielding average. Pretty Good Stuff. 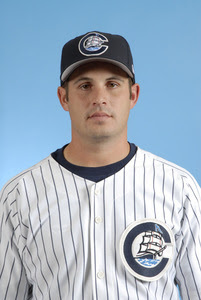 Having seen most every rightfielder in the game personally in 2007, only Jeff Francouer of The Atlanta Braves can possibly rival Kearns for the Top Honor of Gold Glove this season in The National League. Their Number 7 is a fine outfielder, and daring. Knack which Austin has shown throughout this campaign. In slightly less chances (293)--Jeff has three errors. But, a whopping 18 Outfield Assists for his GOLDEN ARM. Twice at RFK Stadium over the past two plus seasons of Nationals Baseball, Francouer has walloped himself into the right field fence--to take away two sure home runs. 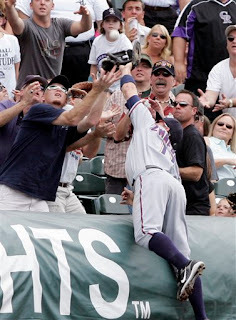 Including a memorable catch off the bat of Cristian Guzman in 2005. An effort that knocked down a green panel in the right field wall (for my money--one of the BEST CATCHES since the return of baseball to DC). Now, I am not sure if Austin Kearns is more deserving than Jeff Francouer for a Gold Glove. But, if Our Number 25 could turn his game around at the plate--he would be an excellent all around player. His fielding has changed my perspective of his play. Really, he could be A GEM--A Cornerstone Player for Our Washington Nationals. A level he has not yet reached. But hopefully, with a little more work-- very soon. That, and the return of a healthy Nick Johnson to Our Nationals Starting Lineup--for his mental makeup. Except for one short stint earlier this summer, FLop has performed poorly in 2007. Really, I am not sure why. But, at times--he looks disinterested. That's just my view from afar, although I have never seen a baseball player go day after day showing less emotion. Never does Felipe Lopez seem to smile. All making me wonder whether he enjoys playing THIS GREAT GAME. Last night--a crucial error on a grounder up the middle by Los Angeles speedster Juan Pierre. Lopez's miscue could have been a rally killing double play in that decisive seventh inning. An effort that would have made Reliever Chris Schroder more of a HERO in his first real attempt to prove he belongs in a pressure situation. Instead, with Ray King now in, the bouncing baseball glanced off Felipe's heel of his glove for an error. Loading the bases, King, unable to put out the fire. A Game Saving Situation that turned sour on a simple Sacrifice Fly given up to the very next Dodger Hitter--Andre Ethier. Los Angeles scoring the go ahead and eventual 4th winning run of this affair. A 4-3 defeat saddled on Chris Schroder that just has me wondering about FLop. Yeah, he had two hits last night--but he also made a key fielding error the evening before, in another close 5-4 loss at Dodger Stadium. Never have I been able to understand Felipe. Rarely is Lopez available for interviews with the media. Does anyone really know anything about him? Its OK to be quiet and private. Really, I can understand that part of being a public figure. Its just that FLop looks lost. Earlier this summer, when Our Number 2 began to play well for a stretch, I remember reading a report that Felipe was getting over some personal problems. A possible excuse for his early poor play. Fine. Yet, nothing more has been written about those incidents since. So--where is FLop's head now? I don't know--but Felipe Lopez is nowhere near The All-Star Player he was selected as just two seasons ago. Yeah--"The Guz" being hurt, resulting in the moving of Felipe back to shortstop has also hurt his progress. But, that still doesn't make up for the almost apathetic approach to the game seen most every day playing for Our Washington Nationals. Felipe--whatever it is--get through it. You are a far more talented player than shown in 2007. Your Mental Lapses are killing Your Game and Our Team's--as well. PS--Its been a very busy Television News Week for me while Our Washington Nationals have been in Los Angeles. Really, I have not had any time to watch most of the past two games. But, I am paying attention. PSS--Although I did watch the first two innings last night before heading to sleep and got a kick out of the always late arriving Dodger Crowd. When that game got underway, it looked like a Nats/Marlins Match up--whether the game was being played in RFK or South Florida--you can choose. Eventually--49,698 was the announced crowd. And, I am sure most of them left in the 7th inning also. Gotta Love LA!! Of course--in 2005 when Nats Fans showed up in DROVES at RFK, Our Crowd never really settled in before the 4th inning either. Still today--many leave after the 7th inning also--even with a tie or close game at hand. We have talked about this, at length, in Section 320. Its understandable on a work night or school night. But, on a Friday or Saturday Night--Where EXACTLY are all you supposed fans going? Just Curious. After reading this article about the Control over The Houston Astros direction by its owner--Drayton McLane, it made me feel much more comfortable about Leadership of Our Washington Nationals. According to Jayson Stark, The Astros Owner is constantly meddling in The Team's Affairs. Yeah, he cares and wants to win--yet McLane doesn't know how to build from within--or TRUST HIS MANAGEMENT. Rarely does he dole out money that helps the long term goals of his Houston Astros. Faith in his hires is rarely given. Criticism for the team's failures--never his. Something no one can say about Our Washington Nationals--at least not currently. Since The Lerners Takeover last July--they have been schooled in How To Build a Franchise by Team President Stan Kasten. Its been a learning process and subsequent TEAM EFFORT. Publicly--The Lerners appear open to suggestions and ideas. A system that allows--each of their Management Hires, below them, to trust their own judgements--work toward goals--and make proper decisions, as a team. Management that's free to control their own destinations, without worrying whether The BIG GUY ON TOP is undermining their efforts. Our Manager Manny Acta has taken what players he was given and worked toward making that talent work--to the best of their abilities. Our General Manager Jim Bowden has been allowed to be creative--both in trades and the draft. And, The Owners allowed the signing of all their Top Picks in the 2007 draft. On the other end, Drayton McLane did not listen to the needs of his manager--Phil Garner. Nor the Baseball Business acumen of his General Manager, Tim Purpura. The Houston Astros let their top two picks of 2007 walk--not wanting to upset Commissioner Bud Selig over "slotting" money. 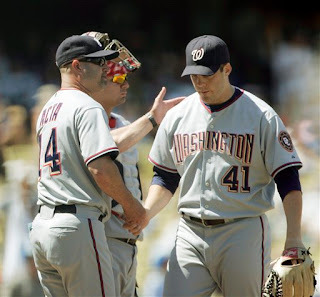 Our Washington Nationals appear to allow a good "give and take" attitude toward decisions. It's OK to question something--just be prepared to support your idea. And, if The Owners can be convinced--that money to be spent is wise--The Word is Given--"Make it So." I have no problem with that attitude. Their efforts so far have pleasantly surprised me. The Lerners have shown a willingness to listen and trust those they have hired to build a baseball team. Experts they are not yet, in the game of baseball. Experts they are--in the world of business. Big Organizations are successful when everyone from top, to the very bottom, feels they have a say. A determining factor in the positive direction of the company. Manny gets his say. "Jimbo" gets his. Mr.Kasten also. Yet, most importantly--all three, along with The Lerners appear to be working as a team. United in building a viable Franchise--A Baseball Team hopefully all can be proud of soon. Its early in the development of Our Washington Nationals. The Control of Our Franchise has Promise. Capability, now apparently lost by The Houston Astros. This Shtick which commenced last Summer during "GET YOUR RED ON WEEKEND" has been an absolute success. The Racing Presidents of Our Washington Nationals have been a HUGE HIT. Seen constantly on Sports Television Highlight Shows most every night during a Home Game on East Capitol Street--these four OVER SIZED American Greats have become The Face of The Franchise. So much so--These Presidents have a following of their own. Celebrity, that not even Management could possibly have realized--in their WILDEST DREAMS-- upon creating this event last year. Sure--its copied from similar events held in Milwaukee and Pittsburgh--but its DISTINCTLY WASHINGTON DC. The Only City in America where this event works--in such a manner. One of biggest reasons for their ever increasing fandom is Teddy Roosevelt himself. Yes, Its well known--The Lovable Loser has never won--not once in over 100 appearances. Teddy has been downright terrible running in this 4th inning event, hilariously so at times. And, nothing beats his Opening Day 2007 Zip Line Run from The Roof of RFK. A FABULOUS SIGHT. The Best Stunt of the Season. At the same time--TR doesn't seem to understand the Concept of This Race. He never appears to have ANY clue that the object is to win. Of course--its all a Joke. A prank that has spawned "RUN TEDDY RUN" T-Shirts--and the now well known "LET TEDDY WIN!!" Chant heard throughout the 7th inning--when The Racing Presidents post up in the tunnel--just to the left of Section 320. These Characters have a following. Fans that have come to look forward to seeing them each and every home game of Our Washington Nationals. Besides--who can not enjoy the sight of some 5 Year Old Staring in disbelief, and sometimes HORROR, over these VERY LARGE COSTUMES looming down at that innocent kid. The "RUSHMORES" are quite the sight. Popularity that resulted in the issuing of Four Bobbleheads this summer commemorating their adoration. Teddy's Compatriots--George Washington, Abe Lincoln & Thomas Jefferson have each won countless times. More Importantly--all three have won on "Their Day" at RFK Stadium this season. The Afternoon the GW, Abe and TJ Bobbleheads were passed out to fans over three Home Dates this Summer. Giveaway Days, where each of these "Rushmores" was ESCORTED TO VICTORY by (Faux) Secret Service Agents. Which now begs the question--Will Teddy Get The Same Treatment this Saturday, September 1st? On that weekend day, Teddy Roosevelt Bobbleheads will be given to fans attending that night's game between Our Washington Nationals and The San Francisco Giants. Anybody attuned to and aware of what has occurred with TR over the past season and one half--will certainly be watching that day's race. During the Mid-4th Inning event this coming Saturday Night--The Presidents Race may well be the MOST WATCHED Moment that evening. EVERYBODY will want to know: Will Teddy WIN?! And, what would happen if he wins!!?? 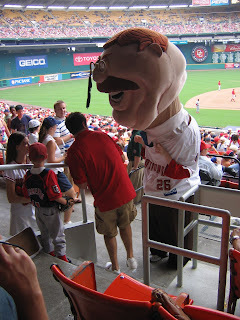 Finally--After Winning--Would Teddy "JOG" around the Warning Track to slap hands with Fans!! All the while that "Chariots of Fire" Theme Song is played out over the PA System?!! Of course--Teddy would have to move in Slow Motion to get the good effects going with the beat of the music. All interesting thoughts. All of which might put an end to A Fabulous Losing Streak. Which also makes me wonder: If Teddy trips and falls during the race on Saturday--would "The Most Thrilling Closer In The Game" be called upon to Save Teddy's Victory? Somehow seems appropriate--doesn't it? Of course my favorite scenario heard about this Saturday's Race is that Teddy will win, but video will be shown later depicting Our Lovable Loser applying the "Clear" & the "Cream" Steroids before the Victory. A conquest nullified because TR would be ruled a cheater--maybe even given an "*" next to his win total. With Barry Bonds in town with The Giants--it would be fitting. Although, I doubt Our Washington Nationals would play up such an event. Too bad. As it would be funny--yet at the expense of someone in house. Probably, not a good thing to try. Something Major League Baseball would frown on. It may be in poor taste--but its an hilarious thought. So--if Teddy does Win--what happens NEXT!!?? Does the race become more serious? That might not be as fun. Not knowing how Teddy will Blow It--is a part of the enjoyment. And, the "LET TEDDY WIN!!" Chant from Section 320-- would become obsolete. How would The Race Change? What would be the new stakes? Are New Presidents to be added? The Racing Presidents are nearing a Seminal Moment in their short history. This coming Saturday Night may well change their future--all based on How Teddy Performs during that 4th inning RACE. Personally--I can't wait. I betcha--many more are looking forward to the occasion, also. "LET TEDDY WIN!! LET TEDDY WIN!!" Every pitcher in the Major Leagues is talented. Some are very successful--some just get by. And many, just can't can't cut it, at all. The Margin for error in The Big Leagues is slight. Most Pitchers have similar stuff. The Difference many times comes down to command--and trust. Confidence in yourself--SAVVY. No one is successful, unless they have faith in themselves. Today, Joel Hanrahan did not pitch with conviction for Our Washington Nationals. He was unsure. His mind wasn't loose. He was fearing making a mistake. All because, he well knew his best stuff was failing him. Without the gained experience of many Major League Baseball Starts--Joel Hanrahan was lost. Everyone could see it coming--Our Number 38 was going to get rocked. Which he did--leaving after just 2.2 innings--allowing 9 runs on 8 hits and 5 walks to The Colorado Rockies. Hopefully, a learning effort to be locked away and brought out again in the very near future. Everyone can command presence with they are on top of the their game--everything flowing PERFECTLY. Respect comes, when you win while faltering--when you are IMPERFECT. Some of The Best Pitchers in the Game--Roger Clemens, Tommy Glavine, Gregg Maddux, Pedro Martinez--the list goes on and on--have bad days also. But, their experience gives them a belief. A certain SAVVY, knowing they can still get batters out with the game on the line--even when that Cutting Fastball isn't sharp. Even, when that Slider isn't exactly falling off the table. That's why they are THE BEST. Clemens, Glavine, Maddux and Martinez are all well past their prime. Yet, all four are still successful--because their knowledge is far greater than the loss of their athletic abilities. Talent which Joel Hanrahan may well harness and prosper with in the future. But, definitely not today. Defeats like this must be looked on as a learning experience. Even The Best got hammered early in their careers. If Our New Starter is going to be a solid Major League Starter--he's going to need to trust himself more. Don't nibble around the plate when you have no command, nor control. And, that also means depending on your fielders to assist you. Let them HELP YOU OUT. Hanrahan was trying to be too precise this afternoon at Coors Field--fell behind in the count--lost confidence--and started laying the baseball in right over the plate. In that awful third inning-two were out before The Rockies even got a baserunner on board. Yet, Joel even worried about Elmer Dessens--The Colorado Pitcher. A inning killing walk to Dessens loaded the bases--a mistake that finally started the domino effect. A Double, Single and Home Run given up by Joel over the next three batters closed this game out. Hanrahan took a beating. Hopefully--a thumping in which he educated himself. Failure is the name of game in baseball. Every Single Baseball Player suffers disappointments. But, even when you can't muster up your God Given Talents to the best of their abilities--you can still come out on top. That Confidence in the Imperfect Game separates the Good Ones from The Mediocre and, eventually--the also rans. What kind of a player is Joel Hanrahan capable of being? Not sure. But, days like today--are the moments you find out. Our Number 38 failed this afternoon in Denver, when he wasn't PERFECT. And made it worse--when, he didn't have the SAVVY--to rely on trust. Final Score--The Colorado Rockies 10, Our Washington Nationals 5. A three game sweep by The Rockies has put a serious damper on that fine start to this 10 Game Roadtrip. After winning three of four in Houston--Our Washington Nationals are facing a serious uphill battle to come back with a .500 or better record on this trip away from RFK Stadium. Now, on to Los Angeles to face the tough Dodgers and their fine pitching. 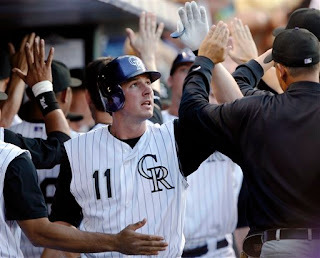 In the bottom of the second when Hanrahan was facing his first serious mess--The Rockies had bases loaded and two outs--two runs in, due to 4 walks and one single--when the dangerous Todd Helton popped a foul fly down the third base line near the stands. Ryan Zimmerman ran hard all the way to the tarp roller--dove across the tarp and caught the baseball to retire the side. A Rally Killing Play that would have been The Defensive Play of This Game, if not for Austin Kearns' nice run to the scoreboard wall and fence in right on a Brad Hawpe drive in the third. A Catch that resulted in Kearns face planting himself against the fence--still holding on to the baseball. An Excellent Catch. Although, little did anyone realize that play would be the final out before Hanrahan got himself into this game's changing--six run mess. 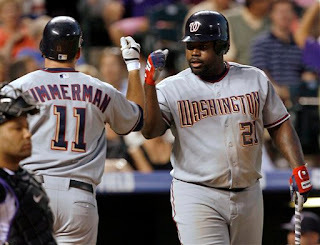 Zimmerman got Washington on the board with a solid home run to left in the first inning. His 21st Homer of 2007. Later, My Main Man!! Ryan Church attempted to get Our Team back in the game by launching his 11th Home Run of the season in the 7th. A Two Run Shot off Ramon Ortiz!!! Actually, I had no idea Ramon was pitching for The Rockies. Surprised to see him trot out--Not Shocked at the result. A GOOD FEELING Our Washington Nationals must have felt when Austin Kearns delivered a two run, two out double to right, off Our Former Starter, to get Washington within four runs at 9-5 in the 8th inning. 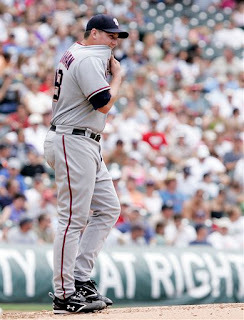 But, unfortunately, Colorado's Manager, Clint Hurdle, called on Matt Herges to shutdown the rally the rest of the way. Since his return from the Disabled List--Jesus Colome has pitched effectively. This afternoon--another two innings of shutout relief work. Too bad he was lost for a good third of the season with that infection. When Jesus first went down he was arguably Our Best Reliever--maybe even a Most Valuable Player Candidate--for Washington (No Not The LEAGUE). Wily Mo Pena having some real trouble of late with the off speed pitches. Everyone knows he can hammer a fastball. Now since The Pitchers have adjusted to him--time to see if Wily Mo has THE SAVVY to counter back. Whether Pena becomes a bonafide Major League Slugger--will depend on how well he adapts. Finally, The Rockies Leftfielder Matt Holliday and their Rookie Shortstop Troy Tulowitski--both EXCELLENT YOUNG PLAYERS. You have to appreciate fine talent. Both of whom have what it takes to be All Star Players--for years to come. That was some pretty fine pitching--Too bad it happened for Washington with the score already 5-1, Colorado with the lead. Our Manager Manny Acta called on Chris Schroder to put out a bases loaded, no out situation against The Colorado Rockies--and he delivered--BIG TIME. Inheriting a mess courtesy of Tim Redding in the 5th--Schroder continued to show some promise. A whipping fastball and the ability to place the baseball all over and around the plate. Movement on a rising fastball, not seen by many pitchers for Our Washington Nationals. Our Number 45 struck out Brad Hawpe swinging--got Ryan Spilborghs on a first pitch liner to Ryan Zimmerman. Then, on a full count, crossed up Yorvit Torrealba on a beautiful off speed pitch--tailing away. This Man's got some stuff. And, continued to show promise the very next inning. Schroder's second inning of work--the Sixth Inning of this affair--which was just as delightful. Another 1-2-3 frame that included a nice strong "K" of The Rockies young stud shortstop--Troy Tulowitzki to end it. Where exactly has this 29 year old been hiding for so long? Chris Schroder's got a live arm--what's taken him so long to develop? When Manny Acta sent him out for a third inning of work in the 7th this evening--he was as strong as ever. Don Sutton stating on MASN that Chris has CLOSER MATERIAL. Remember last season on August 19th, 2006, at Citizens Bank Park, when Schroder struck out five of six straight Phillies--including Chase Utley, Ryan Howard and Pat Burrell in a row? It's been well documented that Schroder does not pitch with the game on the line. Our Manager has yet to trust him so far this season. Maybe its time to find out what he can do. 2007 is all about finding parts--why not discover Chris' true talents? If he's good enough--value might be attained--whether for Washington on the field, or through a trade to another team. Yeah--tonight wasn't much of a ballgame. 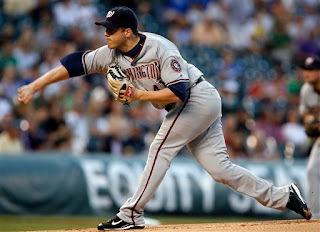 Our Washington Nationals were shutdown by Rookie Rockie Pitcher--Ubaldo Jimenez. Just three hits over seven complete innings. Never did Washington really threaten. Not even MY BOY!! Jorge Julio could blow this one for Colorado. Now, how many of you were hoping for a reversal of last night's debacle in that 9th when Jorge came trotting out??!! I was--that's a FOR SURE. Unfortunately--Julio did the job at Coors Field this evening. The Rockies 5, Our Washington Nationals 1--The Final Score. All of which got The African Queen and I off on another tangent discussing Baltimore and Washington as Professional Sports Towns. With this ballgame all but over--we began switching back and forth to The Washington Redskins/Baltimore Ravens game on Channel 9. Being an innocent bystander--Sohna wanted to know why Washington Fans have never showed the GREAT ANIMOSITY toward The Ravens (Cleveland Browns) moving to Baltimore, like Orioles Fans and their Owner have showed toward Our Washington Nationals move from Montreal. My only answer to her is that NO ONE IN DC--BEGRUDGES Baltimore for having their own Professional Teams. 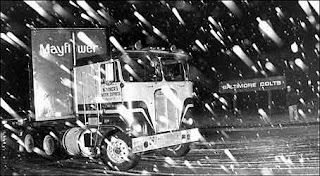 Everyone here realized the traumatic instances surrounding The Baltimore Colts moving to Indianapolis. A situation that The NFL, at that time--showed no backbone, to at the very least--allow The City of Baltimore to retain The Colts name and Its History. Plus, the granting to Charm City of a New Franchise at a later date. The Colts being allowed to move was shame for the sport. A very proud Franchise was taken away--in gut wrenching fashion. Respect shown by DC Area Residents upon The Ravens arrival--quickly forgotten by Fans of Baltimore--and one certain Owner of The Orioles. Really, that's the whole difference. Baltimore Fans must have long forgotten how disappointing it was for Our Nation's Capital to lose its Washington Senators, so many years previously. Even a bad team--had a following then. Legions of Baseball Fans left with no Major League Team for over 30 seasons in The Most Important City in the World. That's also a shame. And just our random thought, after a less than stellar ballgame in Denver. Tonight's defeat shows how important last night's loss can play out on a team's fate. Having now dropped two straight, after winning 3 of 4 in Houston--there is a distinct possibility Our Washington Nationals may be swept tomorrow in Colorado. Limping to Los Angeles to play the very competitive Dodgers--this puts a potential .500 or winning roadtrip in serious jeopardy. All this worry--due to one very bad 9th inning last night. Was that EVER EMBARRASSING--"The Chief Cardiologist" trotted on to Coors Field tonight with a 5-1 lead in the 9th and couldn't retire a single batter. Despite all his heart palpitating ways over the past two plus seasons of Washington Nationals Baseball--I don't recall Chad Cordero EVER BEING TAKEN OUT OF THE GAME WITH EVERYTHING ON THE LINE. At least, until tonight. He had nothing--Single, Home Run, single, double, walk--two runs in, bases loaded--nobody out. Then, Big Jon Rauch relieved him, only to see Our Number 51 allow a two run single, sacrifice bunt, followed by a grounder to D'Angelo Jimenez up the middle--that Jimenez SIMPLY DROPPED for the game deciding 5th run of the inning. The Game Winning Run for The Colorado Rockies. The Result: A DEVASTATING 6-5 Defeat--Clinched from The Jaws of Victory. This Loss HURTS--BADLY. Yeah, I know it happens--but this unexpected BEATING has to be The WORST OF THE SEASON. Terrible--because SHAWN HILL WAS SO DESERVING. There is not one single player for Our Washington Nationals more WORTHY than Shawn Hill. He is UNQUESTIONABLY Our Best Starter. Despite Disappointment, Injury, Recovery and Perseverance--he has soldiered on--never looking back, never losing perspective. And tonight--he proved it at Coors Field in Colorado. A solid sinker ball pitcher throwing in the ULTIMATE FLY BALL PARK--one mile above sea level. If Our Number 41 is throwing his best stuff--he should be unhittable here. This evening, Shawn Hill was at his Spectacular Best. What more could you ask from your starter in a hitter friendly park. Lately, I have read many write that Shawn Hill is no better than a 3rd or 4th starter--at best. What exactly are these so called "experts" looking at? What do they NOT SEE? Outside of Brandon Webb in Arizona--who exactly has a better sinker ball than Shawn Hill? Like, NO ONE in The National League. Our Number 41 is a keeper. And, as far as I am concerned--Number One Starter. Greg Maddux didn't have overpowering stuff. Certainly, Shawn has a long way to go before duplicating Maddux's career efforts--but I don't see anyone complaining about Shawn's stuff, now. Do you? Then, why should anyone lessen Hill's abilities? Effort which The Colorado Rockies witnessed for seven strong innings. When you retire 21 of 23 batters after giving up two hits to begin the game--you are doing something right. Like throwing strikes, staying on top. And, leaving with a 5-1 Lead. 68 strikes in 98 pitches for Shawn. Since the very first moments, I saw him pitch at RFK in 2006--I had strong feelings about him. Shawn Hill has never disappointed me. 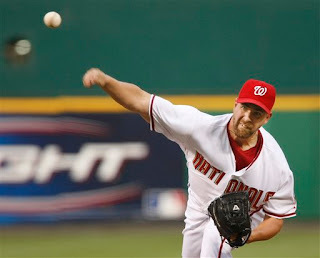 If he could ever stay healthy, he WILL go down as one of the best in Our Washington Nationals History. Shawn has The RIGHT STUFF--That FACT I AM POSITIVE. Ability which Ryan Zimmerman continues to show--an opposite field homer to right in the third off Jeff Francis. Followed in the 7th by A KEY HIT OF THE GAME--a one out hard slap to left field scoring Hill and Nook Logan with the 3rd and 4th runs of the game. Tallies which should have been the game deciding runs. After struggling at the plate earlier this season--swinging at everything--especially outside crap from pitchers--Ryan has returned to his compact, educated swing. Our Number 11 looking for something he can hit--not something he HOPES HE CAN HIT. For 22 years old, Ryan is one impressive young player. Now batting .275 with 20 Home Runs and 75 RBI's. At the end of 2007--he's going to have some good numbers. Now, if he could just cut down on those rushed throwing errors. Mistakes that Wily Mo Pena can take advantage of. Any Home Run to the opposite field is impressive for any hitter. More so, a stroked blast over the 375 Foot sign in right centerfield at Coors Field. Pena's third homer as a National off Taylor Buchholz in the 8th was nice. Do you think Jimbo is at least feeling good over Wily Mo right now? Yeah, I know he is. Jim Bowden believes he stole a POWER SLUGGER for NOTHING. A thought, which I can't deny him right now. So much to feel good about, yet SO MUCH MORE TO FEEL AWFUL ABOUT. ONE TERRIBLE INNING KILLING ALL THAT HOPE!! Shawn Hill was SO DESERVING TONIGHT. Yet, Chad Cordero and Jon Rauch let him down. And, I don't want to hear anyone say Washington had other chances to succeed during this ballgame, but failed. This defeat fails directly on Our Bullpen. Sure, it happens. But, It doesn't mean I have to feel any better about it. Just an AWFUL LOSS--A WIN that was all but DEFINITE. That's going to be one SILENT NATIONALS CLUBHOUSE and trip back to the hotel tonight. Player's Feelings we shall witness tomorrow. Saturday Night, We find out more about The Character of Our Washington Nationals. Will they fight back--or will they wilt? Sorry, but I am not convinced. Just one month ago--EVERYBODY wanted Nook Logan's Neck. No one felt he was an ANSWER to the Centerfield Problem then, for Our Washington Nationals. Of course, he's been hot--getting on base and making some nice defensive plays in the outfield of late. Last night a terrific catch up "Tal's Hill" in Houston, and this evening a couple of nice tracks of hard hit baseballs into the gap at VAST COORS FIELD. Still, REALLY, I am not a believer--not yet. Logan needs to produce over more than just one month of the season. And, bunt better and drive in a few more runs. Getting a single here and there--does not a fine player make. If The Colorado Rockies are using a Humidor to keep the flight of a baseball down in the Thin Air of Denver--Why not bring in the outfield fences? 347 Feet down the foul lines is LUDICROUS. You can't have both. The Outfield at Coors Field is so vast--I could even get lucky and knock a single. Really, how can you expect to build a winning team with such varying elements to deal with. For some time, Denver was an attendance leader in Major League Baseball--but even their fans have come to realize the futility of watching baseball a Mile High From Sea Level. Baseball in Colorado is far from ideal. That's a shame. Sometimes a Sham. Tonight, baseball in Denver was just FORGETTABLE. I've mentioned this before--but, after this defeat, I am in the mood to write about it again. What REALLY bothers me about Bob Carpenter on MASN is his propensity to CALL THE PLAY before it develops in front of him. If runners are on first and second with one out--and a hitter knocks a hard shot at an infielder--Carpenter IMMEDIATELY says: "THAT's AN INNING ENDING DOUBLE PLAY BALL!!" Many times, the fielder boots the knock. Its embarrassing. Bob did it again tonight on a hard smash to D'Angelo Jimenez at shortstop. Leading off the bottom of the third inning, The Rockies Jeff Francis grounded sharply to shortstop. Carpenter called out: "There's an easy out!!" Only to see Jimenez throw the baseball away. Only Dmitri Young coming off the bag--saved the out from being an error. Time and Time Again, Bob Carpenter does this. I am tired of it. The other call he makes that drives me up the wall is when a batter makes a nice hit--and WITHOUT EVEN MAKING THE CALL ABOUT WHAT HAS OCCURRED--Bob says: That's a NICE SWING!! Its the sign of an announcer who believes he knows more than he really does. He is talking down to the audience. I don't like it. Call the action--please. Let Don Sutton give the expertise. And, each time Carpenter misjudges a call--Don Sutton remains silent. That's telling. Come on Bob!! Let everything play out in front of you. Describe THE ACTION!! Don't Describe What YOU THINK YOU WILL SEE!!! And, please don't try to be the COLOR ANNOUNCER. There is a Big Difference. Sutton is one of the best--let him do his job. There is a good reason why Don is signed to a four year contract. Just over seven months and counting. 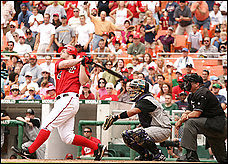 Time is of the essence, if Our Washington Nationals are going to start the 2008 Baseball Season at New Nationals Park. With that in mind--it was time for a construction update on the New Ballyard being built on South Capitol Street. So, reaching out to the Construction Firms of Clark/Smoot/Hunt--The New Stadium Contractors--Smoot's Director Of Community Affairs & Business Development--Chrystal Stowe, willingly agreed to give The African Queen and I a tour. We met at The Construction Entrance--24 Potomac Avenue, SW. Handed Safety Helmets and Reflective Vests, we were off on our jaunt. No doubt, more and more--This Giant Erector Set is looking like a Baseball Stadium. In fact, construction has advanced so far--the grading for the baseball diamond is currently being worked on the playing field. Much has been completed since my original tour last March and subsequent visits. Although, so much more needs to be accomplished. The Main and Upper Level Concourses are basically complete. The Concourses are WIDE!!! From anywhere walking along the concourse--you could see the playing field. The Openness is such a drastic contrast to the narrow dinginess of RFK Stadium's Concourses. The Built in Food/Vendor Stands are being completed on the outer walls of the concourses--leaving the inner concourse ring open for viewing. The Locker Rooms are taking shape. A Circular Design, with multiple offices and training rooms attached. Nothing was funnier than seeing these two beat up cheap press board lockers carrying the names of Ryan Zimmerman and Brian Schneider. Apparently, on a recent visit to the ballpark by the players--Schneider told the Construction Crews he would pay extra (JOKINGLY) for a larger locker. The Workers decided to have a good time with that comment--as you can see in the photos--Brian's locker is twice the size of Ryan's. Its funny. The Gigantic HDTV Scoreboard Frame in Right Field is nearly finished. The Centerfield Restaurant is taking shape. And, you can view where Our Washington Nationals are going to plant grass with a Curly "W" Design in centerfield. The Restaurant Outside Seating is the only seating in the ballpark which will be red in color. And, of course--the main seats, blue seats, are being put in place--at a rate of 2,000 per week--along with the walk railings for the stairways to the seats. At the bottom of each aisle--the railing contains a plexiglass retainer wall to prevent anyone who might trip coming down the stairs--from falling over to the level below. But, just to be clear--that plexiglass panel is only in the front row of the walk aisle. It does not crossover to the first row seats of every deck. No one's seat is behind that clear 40" High Retainer Wall. Enjoyable it was to view each and every blue seat having a Navy Curly "W" caste on its side frame. When you sit at New Nationals Park--you know who the Home Team is--Our Washington Nationals. Additionally, each seat is numbered with a Silver Baseball Plate that stands out against the Blue Seats. Very Nice actually, little touches that fans can appreciate. Sohna and I found the seats comfortable. And, it was important to see how high the front row railing stood in relation to the seats. At RFK Stadium, the upper deck railings partially block your view in the first two rows. Being only 5' tall, Sohna found it no problem to see above the new railings. A Good Sign. On the Main Concourse, we came across this Painting of Washington Senators Great--Walter Johnson--on a column. Chrystal informed us that this piece of art is a test. Apparently, throughout New Nationals Park--Columns will be dedicated to Former Washington Baseball Greats and DC's History in the Game. Honestly, this looked good. If every single column around the Main Concourse depicted this theme--it would LOOK TERRIFIC. I have NO DOUBT--many fans would enjoy these works. The Walter Johnson Artwork STOOD OUT--from a distance. The BEST SURPRISE OF THE ENTIRE TOUR. Standing on The Club Level--the first row was slightly further back than the Mezzanine Level at RFK Stadium. Maybe 10 feet tops. Not much of a difference. Each subsequent Higher Deck was slightly set a few rows back of the level below. The Two Tiered Suite Level that surrounds the infield--places the Infield Terrace Deck Higher, but not necessarily farther away from the action on the field. That's a good thing. Standing on Club Level--back row--the overhang slightly blocks high popups from the last couple of rows. The HIGH DOLLAR Suites are also starting to shape. At 1PM--The Sun was hanging up and behind the first base side of the stadium. The 3rd Base side was in the sun. We were not there long enough to get a sense of how The Sun will track during day games. Too bad--as its an important aspect to consider for any seating assignment during a typical Hot, Humid and Sunday Washington, DC Summer Day. The Double Deck Stars & Stripes Club was very inviting. Glass Panels opened up the area out toward The Anacostia River. Nothing claustrophobic about this place. If the amenities are finished as planned--this Club, along with the promised Presidents Club are going to be FABULOUS. A Glass Enclosed Front for The Presidents Club looks out over the field. Construction was going on inside that part while we were there--so we could not view inside. But, this Opportunity to tour The New Ballyard gave us the very first chance to walk up to each and every level of stadium. First Thought--and its a BIG ONE--THAT UPPER DECK IS STEEP!!! This Ballpark may well be smaller than RFK Stadium, and more compact--with the seats closer to the field, overlapping each other, But--when we stood on the UPPER DECK--Right Field--last row--looking toward Home Plate--it looked A MILE AWAY!! Maybe it was the OPENNESS that made the distance look vast. Wow!! I am going to have to walk up to The Yellow Seats at RFK in Right Field next home game to compare. As I haven't been up there much in 2007. Maybe it was a illusion--from sitting so close to the field in Section 320 at RFK Stadium. Really, I am not sure--but, nothing was more noiticeable in contrast--than that view. Being afraid of heights, Sohna was holding the railing tightly--walking up and down the aisles. What I know will not be liked--is The Press Box by the Working Media. Easily, it sits at the highest point in the New Ballpark. Charlie & Dave, along with Bob and Don--are going to be looking straight down--overlooking the field. 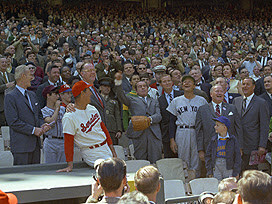 The Media is nowhere near as close to enjoying their placement, as well as, the friendly confines enjoyed at RFK Stadium. Being in The Media--I just know it--they are not going to like their view. The Entire Time The African Queen and I were up there--I could only think of that Bob Uecker Commercial with him sitting in the cheap seats. A Two Level Press Box with Camera Set Ups on top. The Camera angle could not be the best. One thing good about that Press Box--Its Views of The Capitol Building, The Washington Monument and some of Our Nation's Capital's Finest places--could clearly be seen. Washington National Airport and The Washington National Cathedral--clean lines of sight. Just Terrific to see from that spot. A HIGHLIGHT OF THE TOUR. The Home Dugout for Our Washington Nationals does not have the largest roof. It looked short--in comparison to others at newer ballparks--Interesting. It did not look wide enough, front to back, to handle The Nat Pack or Screech during Dugout Entertainment. The Right Field Wall where an HDTV Scoreboard is to be placed. Our Washington Nationals Hot Tub Therapy Room. That Locker Room WAS HUGE!! Sohna and I LOVED THAT LOCKER ROOM!! Service Walkway under the first base stands. Computer Light Grids--Said Already To Be Set to Shine in the Exact Right Spot, the moment they are initially turned on. The Faux Limestone. Looks Good. And, The On Site Parking Decks, under construction. I hope you enjoyed the PHOTO Tour. Chrystal Stowe, who was a nice lady and a fine hostess, has promised to invite us back, at a later date, to Update the Continuing Construction of New Nationals Park. Sure, I understand that not everyone will be pleased with the layout of the New Ballpark. Some will not like their seating assignments. Some will miss the convenience of RFK. But, I honestly got to tell you--New Nationals Park is shaping up nicely. This Ballpark will provide more entertainment than just the ballgame itself--far different than provided currently at RFK Stadium. As much as I LOVE THE OLD BALLYARD on East Capitol Street--I am looking forward to that very first game in April, 2008--on South Capitol Street. I Don't Care What MLB Thinks!! How About That John Lannan? A Few Minutes With "Our Starter In Training"